Home / News / News / Frankly Speaking! 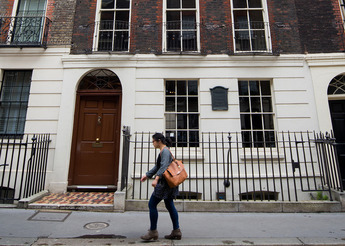 A Benjamin Franklin House Debate Competition in collaboration with the US Embassy in London, Bloomberg and The Daughters of the American Revolution (Walter Hines Page Chapter). On Friday 16 March 2018, 40 students from eight schools across the country joined us for Frankly Speaking 2018, the annual Benjamin Franklin House debate competition in collaboration with the US Embassy and The Daughters of the American Revolution (Walter Hines Page Chapter). 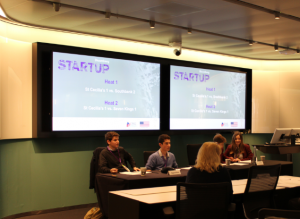 Teams travelled from Coventry, London and Leeds to join us and this year the event was hosted by Bloomberg at their new London head office. 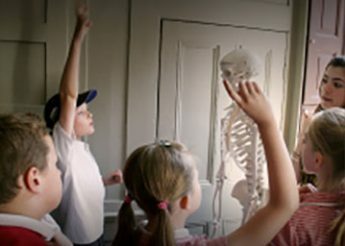 Throughout the course of the day students were challenged to address questions related to the environment, tuition fees, a second UK referendum on EU membership and space exploration. The standard throughout the day was high, with judges impressed by the debating skills and research of the students. Lucas Cury from Southbank International School in Westminster won first prize in the Years Ten/Eleven category: a tour of the Houses of Parliament with the Rt Hon. 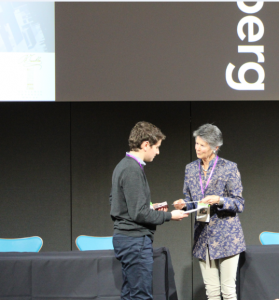 the Lord Cope of Berkeley – made possible with support from the DAR; Southbank International School also won the Years Ten/Eleven team debate. 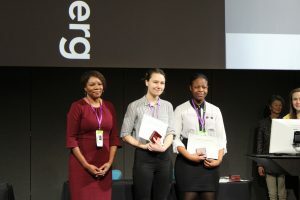 The overall winning team in the Year Twelve/Thirteen category was Brampton Academy featuring debaters Melanie Nneka Onoyo and Osauewese Omoragbon. Isla Lury from Prince Henry’s Grammar School, Otley won the Year Twelve/Thirteen individual first prize, a place at the Benjamin Franklin Transatlantic Fellows Summer Institute at Wake Forest University, North Carolina. Isla will be joining students this summer from across the US and Europe, she will explore American culture and politics and opportunities to improve civil society. Team prizes were also awarded. 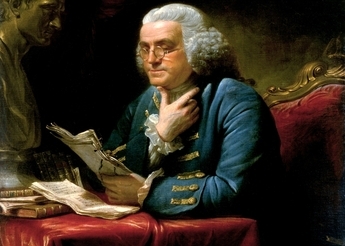 All participants will be invited to a reception at Benjamin Franklin House. Many thanks to the US Embassy, Bloomberg and the DAR for their partnership, support and expertise. 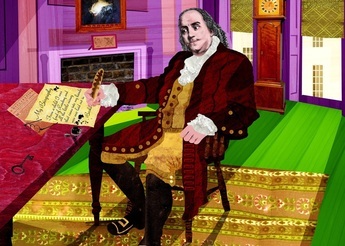 https://benjaminfranklinhouse.org/wp-content/uploads/2018/06/IMG_0086.jpg 3456 5184 Gemma Smith https://benjaminfranklinhouse.org/wp-content/uploads/2018/05/bfh_web_logo_white_retina.png Gemma Smith2018-03-05 12:11:512018-06-14 14:03:45Frankly Speaking!